The Lenovo Z5 Pro is one the phone out there that you will love to buy. It falls under a budget device but still parades an innovative design and a unique display screen size as well. The Sharp Aquos R2 Compact, on the other hand, is a premium device that packs a notch on the front and the bottom is where the fingerprint scanner is located. Both phones are also equipped with great cameras as well. We will be comparing the Lenovo Z5 Pro with the new Sharp Aquos R2 Compact smartphone. The Lenovo Z5 Pro is built with an Aluminum Alloy and glass on its overall body. The phone is blessed with an onscreen fingerprint scanner and it has a slider front facing a camera. It measures 73.04 mm x 155.12 mm x 9.3 mm and weighs 210 gram. The Sharp Aquos R2 Compact has IP68 rating meaning it’s both dust and water protected. It’s built with Metal & Polycarbonate and it has body dimensions of 64 mm x 131 mm x 9.3 mm and weight 135 gram. 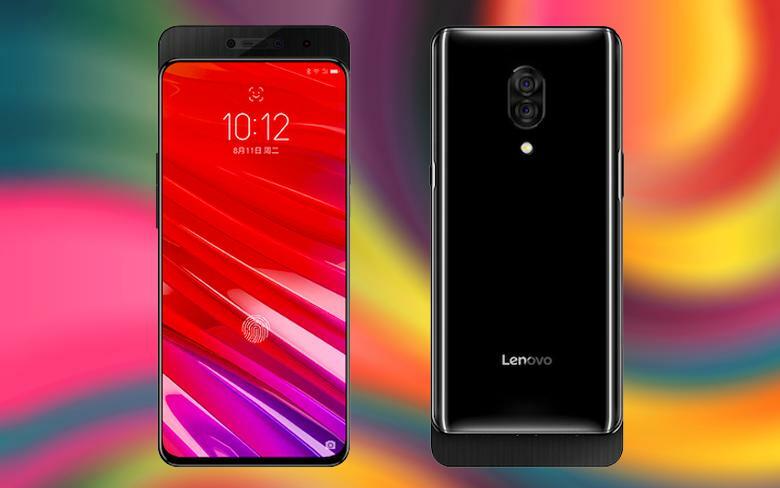 The Sharp Aquos R2 Compact is available in multiple colors, while the Lenovo Z5 Pro is available in Black color only. The Lenovo Z5 Pro features a screen size of 6.39 inches QHD+ with Super AMOLED capacitive touchscreen and a resolution of 1080 x 2340 Pixels (403ppi), while the Sharp Aquos R2 Compact has a 5.2-inches FHD+ with IGZO, IPS LCD capacitive touchscreen AMD a resolution of 1080 x 2280 Pixels (485ppi). The Lenovo Z5 Pro does not only has a bigger screen it will also deliver in terms of content viewing and it has a higher screen to body ratio as well. So the Lenovo Z5 Pro is winning on the camera. The Lenovo Z5 Pro has a combination of 25 Megapixels + 24 Megapixels cameras on the back with dual LED flash, while the Sharp Aquos R2 Compact has a single rear camera of 22.6 Megapixels with dual LED flash as well. Both phones support 4K video shooting, while on the front, the Lenovo Z5 Pro still packs a combo slider front facing camera of 16MP + 8MP with f/2.2 Aperture, and Face Recognition. Meanwhile, the Sharp Aquos R2 Compact has a single front-facing camera of 8 Megapixels with F2.0 Aperture, and Face Unlock. The Lenovo Z5 Pro no doubt will take better photos than it’s rival. The Lenovo Z5 Pro has a Qualcomm Snapdragon 710 chipset with an octa-core processor that clocked at a speed of 2.2 GHz, whereas the Sharp Aquos R2 Compact is equipped with an advanced Qualcomm Snapdragon 845 SDM845 chipset with an octa-core processor that clocked at a speed of 2.8 GHz. The Lenovo Z5 Pro has a Qualcomm Adreno 616 GPU with 6GB RAM and an inbuilt memory of 64GB and 128GB, while the Sharp Aquos R2 Compact has a Qualcomm Adreno 630 GPU GPU with 4GB RAM and internal memory of 64GB which is expandable. The Lenovo Z5 Pro runs on Android 8.1 Oreo, while the Sharp Aquos R2 Compact runs on the latest Android 9.0 Pie operating system. The Lenovo Z5 Pro has a nonremovable battery capacity of 3350 mAh with fast charging, while the Sharp Aquos R2 Compact has a nonremovable battery capacity of 2500 mAh with fast charging technology as well. The Sharp Aquos R2 Compact will cost around $400, while the Lenovo Z5 Pro will sell at a price of $280. The Lenovo Z5 Pro will perform better than the Sharp Aquos R2 Compact and the phone will also make a good budget device since it’s more affordable than it’s rival. So the Lenovo Z5 Pro has the final point in this comparison.